The P-40 was the best known Curtiss-Wright airplane of World War II. It was also one of the most controversial fighters of the war. It was vilified by many as being too slow, lacking in maneuverability, having too low a climbing rate, and being largely obsolescent by contemporary world standards even before it was placed in production. The inadequacies of the P-40 were even the subject of a Congressional investigation. 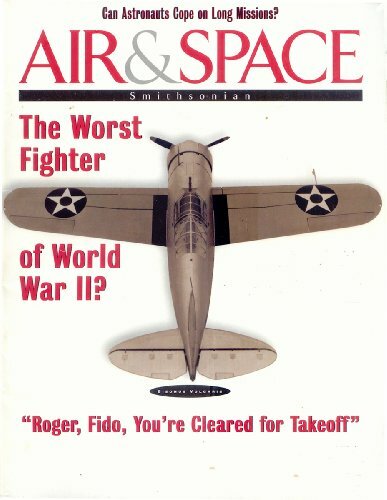 It gets regularly included on lists of the worst combat aircraft of World War 2. All of these criticisms certainly had some degree of validity, but it is also true that the P-40 served its country well during the first year of the war in the Pacific when very little else was available. Along with the P-39 Airacobra, the P-40 was the only American fighter available in quantity to confront the Japanese advance during the first year of the Pacific War. It helped stem the speed of the Japanese advance until more modern types could be made available in quantity. 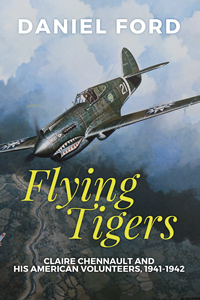 The P-40 had no serious vices and was a pleasant aircraft to fly, and, when flown by an experienced pilot who was fully aware of its strengths and weaknesses, was able to give a good account of itself in aerial combat. The P-40 continued in production long after later types were readily available, the numbers manufactured reaching the third highest total of American World War II fighters, after the Republic P-47 and the North American P-51. The P-40 was obsolete by European standards even before the first prototype flew, and it never did catch up. Its Initial inadequacies in the form of low firepower and lack of self-sealing fuel tanks or armor were a reflection of mid-'thirties USAAC requirements which were outmoded. The P-40 had been developed as basically a low-altitude close-support fighter under mid-1930s US tactical concepts which envisaged more need for low-level ground support operations than for high-altitude interceptions. The military doctrine of the "ascendancy of bombardment over pursuit" was dominant in 1937 when the P-40 first appeared. This doctrine assumed that the prospect of high-altitude enemy air attack on the USA was extremely remote, with coastal defense and ground attack in the defense of US territory being seen as the the main tasks for any future fighter aircraft. Low-altitude performance and rugged construction received priority over high-altitude capabilities. During the war, the Senate Special Committee to Investigate the National Defense Program (usually known as the "Truman Committee", after its chairman, Senator Harry Truman of Missouri) criticized the P-40 on several accounts, particularly on the original volume purchase of an inadequate design and its continued production long after later designs were readily available. However, they finally concluded that this was not brought about by any undue favoritism to Curtiss. The origin of the P-40 can be traced back to the Curtiss P-36 (Model 75) fighter, which was powered by a radial, air-cooled engine. A step in the direction toward what was eventually to emerge as the P-40 was the XP-37, which was described in an earlier post. The P-36 design was reworked to incorporate the Allison V-1710 liquid-cooled V-type engine, resulting in the XP-37. The XP-37 was equipped with a General Electrc turbosupercharger, and featured a cockpit pushed very far to the rear. Thirteen YP-37 service-test aircraft were built, but problems with the turbosupercharger caused the development of the P-37 to be abandoned in favor of a less complex and more straightforward conversion of the P-36 for the Allison V-1710 engine. The XP-40 flew for the first time on October 14, 1938, with Edward Elliot at the controls. Armament was two 0.50-inch machine guns located in the upper fuselage deck and synchronized to fire through the propeller arc, standard armament for US pursuit aircraft at the time. Wing racks could be fitted for six 20-pound bombs. A small oil cooler was located beneath the pointed nose. The air intake for the single-stage supercharger was mounted on top of the engine cowling between the two machine guns, but during tests it was replaced by a long cowled intake duct which became characteristic of all the early P-40 production models. Initially, the coolant radiator was placed under the fuselage aft of the wing, but it was gradually moved forward until it finally ended up located underneath the extreme nose. The radiator intake was redesigned to include an oil cooler and two coolers for the ethylene/glycol engine coolant. The initial XP-40 had a single exhaust port on each side of the fuselage, but in its final form it had six separate exhaust ports on each side. The initial XP-40 had inherited from the P-36 a set of mainwheel fairing plates which covered the mainwheels when they retracted into their wing wells, but these were eventually deleted and replaced by two small doors which closed over the wheel struts upon retraction. In the late 1930s, the USAAC was planning to expand its force, and on January 25, 1939. manufacturers were invited to submit proposals for pursuit aircraft. The Army was still thinking in terms of low-altitude, short-range fighters. Among the contenders were the Lockheed XP-38, the Bell XP-39, the Seversky/Republic XP-41 (AP-2) and XP-43 (AP-4), and no less than three planes from Curtiss, the H75R, XP-37, and XP-42. Although the XP-40 could not match the performance (especially at altitude) of the turbosupercharged types, it was less expensive and could reach quantity production fully a year ahead of the other machines. In addition, the XP-40 was based on a already-proven airframe that had been been in production for some years. Consequently, on April 26, 1939, the Army adopted a conservative approach and ordered 524 production versions under the designation P-40 (Curtiss Model 81). At that time, it was the largest-ever production order for a US fighter, and dwarfed the service test orders placed that same day for YP-38 and YP-39 fighters. A couple of weeks later, 13 YP-43s were also ordered. The P-40 was similar to the final XP-40 configuration except for 1040 hp V-1710-33 (C15) engines and provisions for the mounting of one 0.30-inch machine gun in each wing. Flush riveting was used to reduce drag. Armor, bulletproof windshields, and leakproof fuel tanks were added in service. The P-40 was a relatively clean design, and was unusual for the time in having a fully retractable tailwheel. The first flight of a P-40 (Ser No 39-156) was on April 4, 1940. Maximum speed was 357 mph at 15,000 feet, service ceiling was 32,750 feet, and initial climb rate was 3080 feet per minute. An altitude of 15,000 feet could reached in 5.2 minutes. The length of the P-40 was 31 feet 8 3/4 inches, which became standard for all early models. Weights were 5376 pounds empty, 6787 pounds gross, and 7215 pounds maximum. Deliveries of the P-40 to Army units began in June of 1940. Three of the P-40s were used for service testing, the USAAC contract making no provisions for the standard practice of supplying YP models. Foreign air forces were beginning to take notice of the P-40, and in May of 1940, the Armee de l'Air of France placed an order for 140 H-81A (export model of the P-40). Only 200 of the initial P-40 order were actually completed as P-40s. Serials were 39-156/280 and 40-292/357. The remaining 324 aircraft of the order had their delivery deferred to enable Curtiss to expedite the delivery of the 140 H-81As to France. However, none of these actually reached France before the Armistice in June 1940, and the contract was taken over by the Royal Air Force as Tomahawk I. The P-40 lacked such things as armor for the pilot, self-sealing fuel tanks, and a bulletproof windshield, so it was not considered as being suitable for combat. On October 22, 1942, the P-40s still in USAAF service were ordered restricted from combat duty and were redesignated RP-40. The P-40A designation was skipped in the initial designation assignments. However, it was applied retroactively to P-40 Ser No 40-326 when it was converted to a camera-carrying photographic reconnaissance model at Bolling Field in March of 1942. The P-40B (Model H81B) differed from the P-40 in having an extra 0.30-inch machine gun in each wing. The engine was still the V-1710-33. In September 1940, 131 P-40Bs were procured by the Army to replace the deferred P-40s. Serials were 41-5205/5304 and 41-13297/13327. The first P-40B flew on March 13, 1941. The P-40B retained the same dimensions of the P-40, but weight was increased to 5590 pounds empty, 7326 pounds gross, and 7600 pounds maximum loaded. Because of the additional weight, the P-40B had an inferior performance to the P-40, maximum speed being 352 mph, service ceiling being 32,400 feet, and initial climb rate being 2860 feet per minute. Normal range was 730 miles, but a maximum range of 1230 miles could be attained at the minimum cruise settings. The export equivalent of the P-40B was the Tomahawk IIA (Model H81-A2). They differed from the American version by having the wing guns replaced by 0.303-inch Brownings. 110 were produced for the RAF. RAF serials were AH881/990. 23 of these planes were transferred to the USSR, and one (AH938) went to Canada as an instructional airframe. The initial P-40 order was finally completed with 193 P-40Cs (company designation H81-B). Serials were 41-13328/13520. The first flight of a P-40C was made on April 10, 1941. The P-40C retained the 1150 hp Allison V-1710-33 engine, but was fitted with a new fuel system with 134 gallons in new tanks with improved self sealing. In addition, provisions were made for a 52-gallon drop tank below the fuselage. The P-40C had a SCR-247N radio instead of the SCR-283. These additions produced yet another upward crawl in the weight --- the weights for the P-40C were 5812 pounds empty, 7459 pounds gross, and 8058 pounds maximum loaded. Consequently, the performance continued to degrade. Maximum speed was 345 mph at 15,000 feet. Normal and maximum ranges were 730 and 945 miles respectively. Service ceiling was 29,500 feet, and initial climb rate was 2650 feet per minute. Dimensions were wingspan 27 feet 3 1/2 inches, length 31 feet 8 1/2 inches, height 10 feet 7 inches, wing area 236 square feet. The export equivalent of the P-40C was the Tomahawk IIB (Model H81-A2). A total of 930 were built. RAF serials were AH991/999 (all to USSR), AK100/570 (36 to China), AM370/519 (64 to China), and AN218/517. 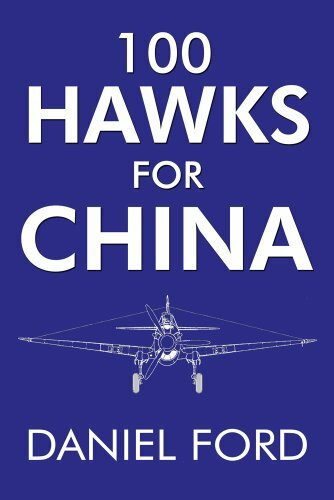 100 of these planes, unofficially designated H81-A3, were transferred to China where they were used by the American Volunteer Group --- the famous "Flying Tigers". 23 went to the USSR, and unspecified numbers went to Turkey and Egypt. The rest were used extensively by the RAF and South African Air Force in the North African theatre. 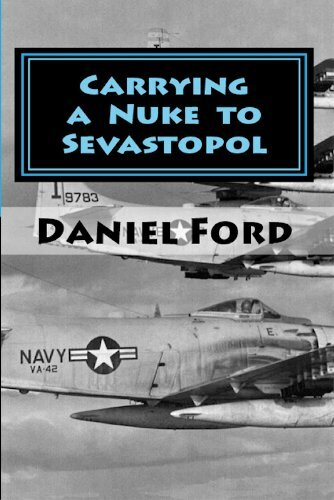 Carrying a Nuke to Sevastopol: What it would be like to start the Third World War in a prop-driven plane from the 1940s. 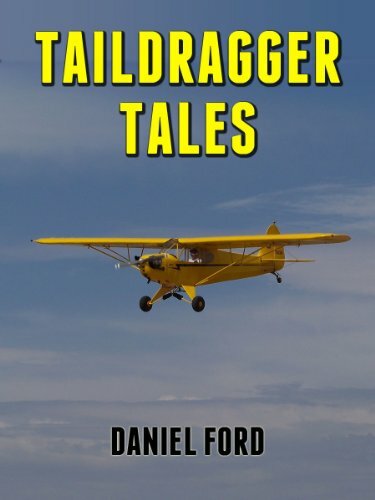 An ebook for the Amazon Kindle.